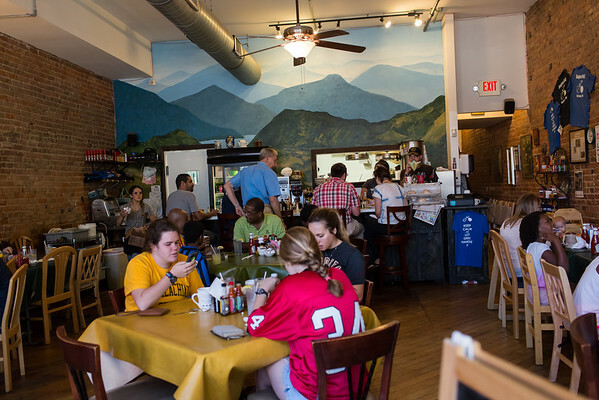 A review of our breakfast at Bluegrass Grill in Chattanooga, TN. We have been wanting to try Bluegrass Grill for a while and finally got the chance on a Saturday morning. We arrived around 9-ish and the first thing we noticed is that there is no hostess. You just sort of que up at the door and wait for the next available clean table. There were only two groups before us and the wait was only about 5 or 10 minutes, however by the time we left, the line was out the door. The Bluegrass Grill is only open for breakfast and lunch, we were there for breakfast, though the quiche of the day did sound wonderful, we stayed with a basic breakfast. We both ordered our basic breakfast, two eggs over light, bacon, grits and toast. The eggs were cooked perfectly, the white toast was nice and chewy. 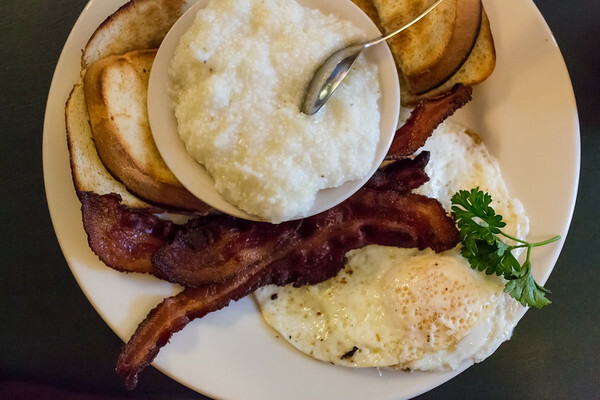 The grits were light and fluffy and some of the best I’ve ever eaten. I didn’t add any butter or even salt or pepper, they were that good. The show stealer though was the jalapeno bacon. So good! I already want to go back to have it again. My husband ordered the same thing I did only he got a biscuit instead of toast. He was extremely pleased with his whole grain biscuit. 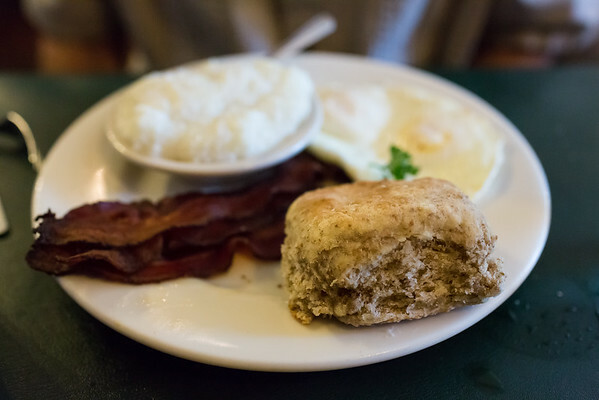 He also loved the jalapeno bacon, the grits, and his eggs. Even though it was crowded, our service was excellent. Our coffee was kept full, our waitress checked on us several times. Overall, we were extremely pleased. I saw a table next to me having an omelet that looked amazing, stringy cheese hanging from his fork with every bite! That is definitely next on my list.